Our shop specializes in high quality gear and rental paddleboards. We rent HALA stand up paddleboards (SUP) for only $35 per day. HALA has the reputation of being the best inflatable SUP on the market. The boards pack into an included backpack and come with a 12V car pump and a dual-action hand pump with gauge. We also rent the Monster iSUP from C4 Waterman for $125 per day. A huge inflatable SUP that is stable and fun for everyone including families. We are conveniently located in the Greentree Plaza in the old Mountain Sports building. Book your Flagstaff SUP rental online today! Looking for more outdoor adventure in Flagstaff? Click here for all activities in Flagstaff! The Twin Lakes that make up the Lake Mary corridor are 16 miles from Flagstaff, and are open year-round. In the warmer months (early May through early October), a fee is required to use the day-use areas, which are managed by a concessionaire. Upper Lake Mary is the largest of Flagstaff's twin lakes. This long, narrow reservoir is especially popular with power boaters and water skiers because there is no motor size limit on it. 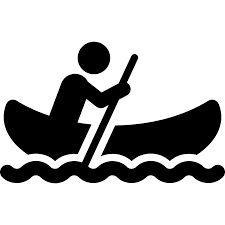 It's also popular with those who prefer people-power over horsepower, and is a great place for kayaks, SUPs and canoes. For those who like fishing, the lake has northern pike, channel cat, crappie, and some trout. Lower Lake Mary is the smaller of Flagstaff's twin lakes. It has a tendency to disappear during the long dry spells that periodically hit this area. When the lake has water, its popular with anglers trying to catch the trout which the Arizona Game and Fish Department stocks here. If it stays full for a year or two, it will pick up a population of northern pike and catfish. These lakes are about 45 miles from Flagstaff, but are worth the drive. Each of these bodies of water is known for producing a different species of fish. The three shallow lakes are a great place to kayak, paddleboard (SUP), boat, fish and watch wildlife. The lakes are located in an area of open grasslands dotted with pinyon and juniper trees. The lakes and two boat ramps are open year round. The nearest campground is Blue Ridge campground open from Memorial Day to Labor Day. About 66 miles southwest of Flagstaff, the Greenway encompasses nearly 480 acres and is six miles long. The 3,300 foot elevation means mild temperatures for hiking along the Verde, kayaking, SUPs, canoeing, picnicking, fishing, or just wading in the cool water. Life along the river changes with the season, giving visitors a glimpse of great blue heron, black hawks, coyotes, raccoons, mule deer, beavers, ducks, frogs, and toads. The Verde River and surrounding riparian corridor support nearly twenty threatened or endangered species including river otter, southwestern bald eagles, southwestern willow flycatchers, and lowland leopard frogs. Q What are your rental policies and pick up times? Q Where can I paddle? 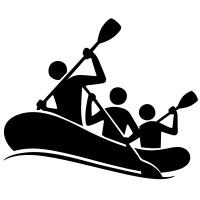 Our knowledgeable staff can help guide you to the perfect place for your paddling needs. Also check out our Trail Info tab for more suggestions!